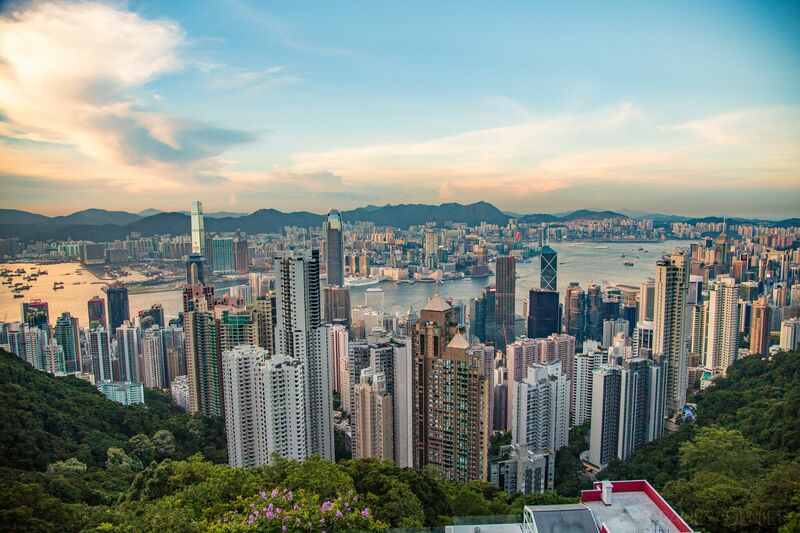 My last set of photos from Hong Kong feature the stunning views from the famous Victoria Peak, more commonly known locally as simply The Peak. 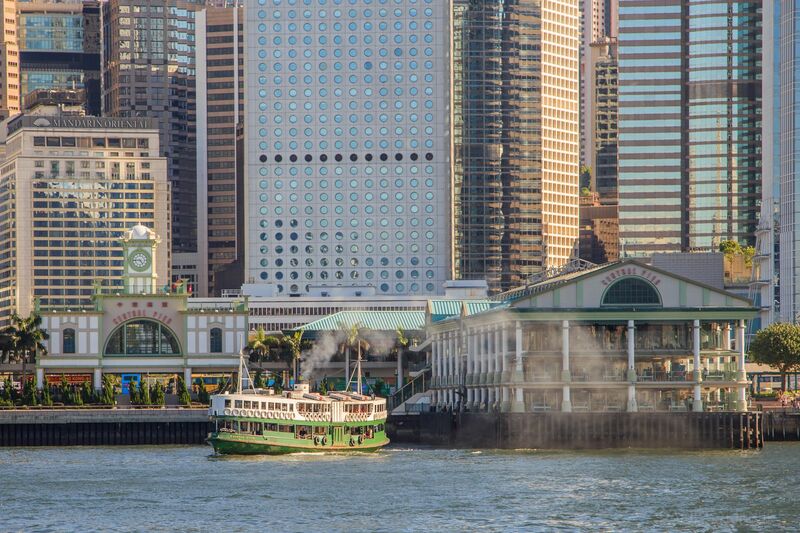 From Kowloon where I was staying, the Star Ferry is an inexpensive and scenic way to cross the harbour. 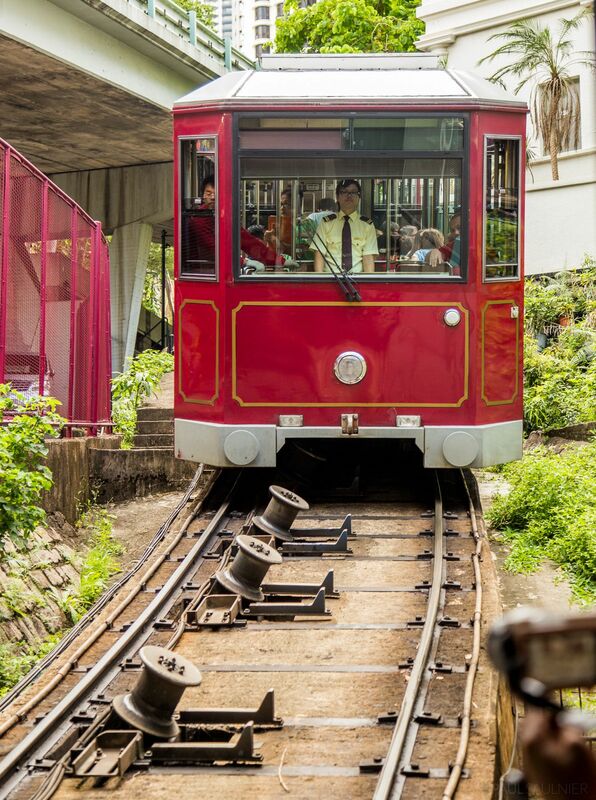 The trip to the Peak begins with a tram ride up the hill. I actually went to the Peak a couple times. 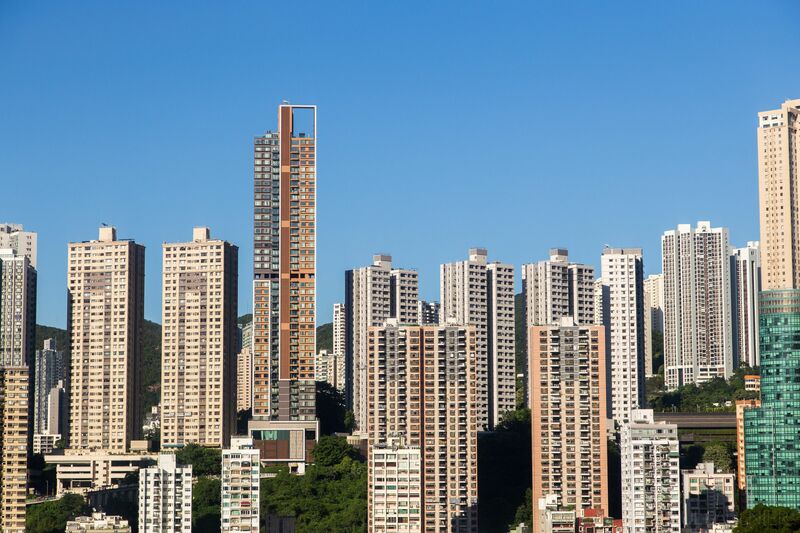 When going by bus, you get a glimpse at hundreds of massive residences. The scale of population density in such a small area is staggering. 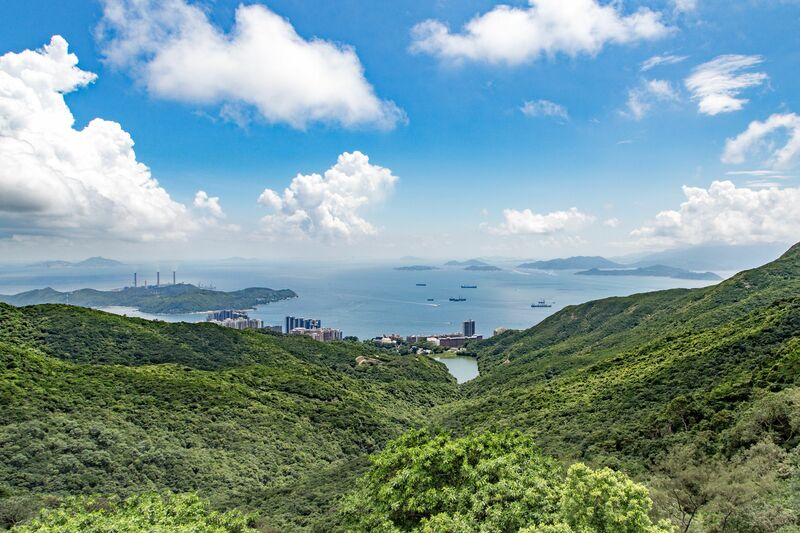 From the top, the views are stunning in all directions. To the south, you can see more residences and islands. This is perhaps my most stunning photo from Hong Kong. This is the skyline of Asia’s World City, during the precious few minutes during sunset when things take on a different colour everywhere. 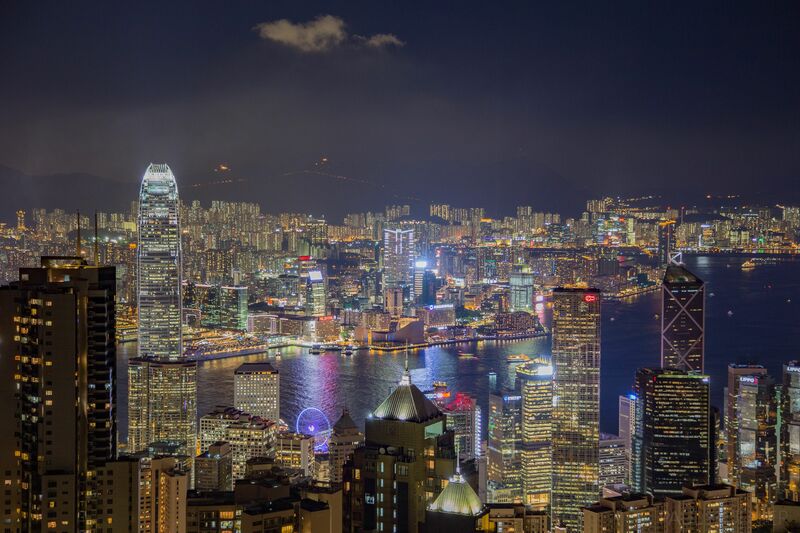 At night, the skyline is equally stunning, as all buildings light up with many colours. 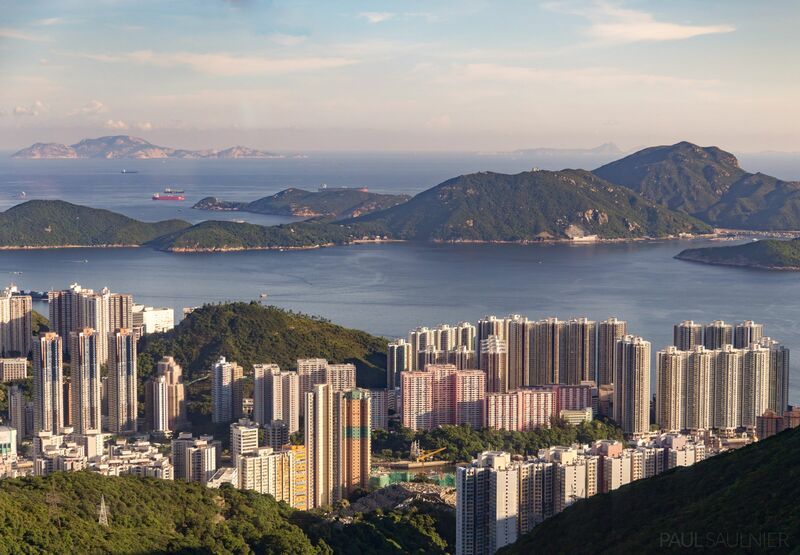 Zooming in further, you can see Kowloon and Tsim Sha Tsui in more detail. The International Finance Centre building stands prominently to the left. This is my last photo from Hong Kong, taken as I walked by the harbour in Tsim Sha Tsui one last time hours before flying out. 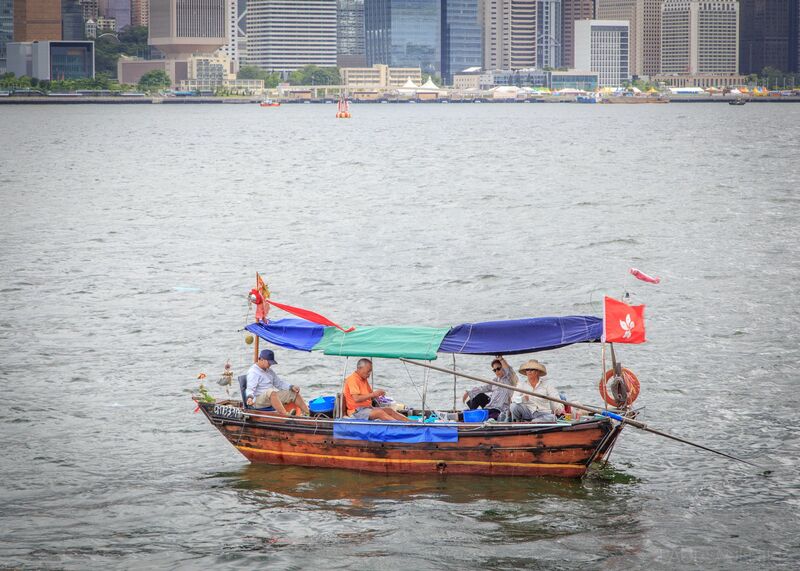 This boat is flying the flag of the Hong Kong Special Administrative Region, while a passenger waves to me. Goodbye for now, Hong Kong!